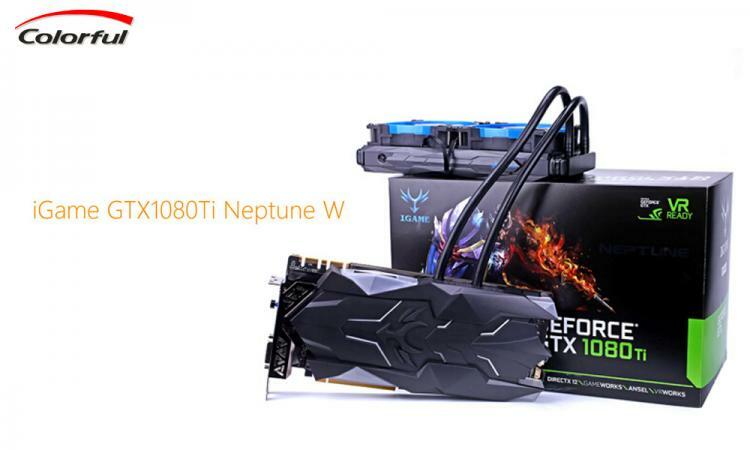 Colorful adds a water-cooled variant of their NVIDIA GTX 1080 Ti offers – the Colorful iGame GTX 1080 Ti Neptune W graphics card. 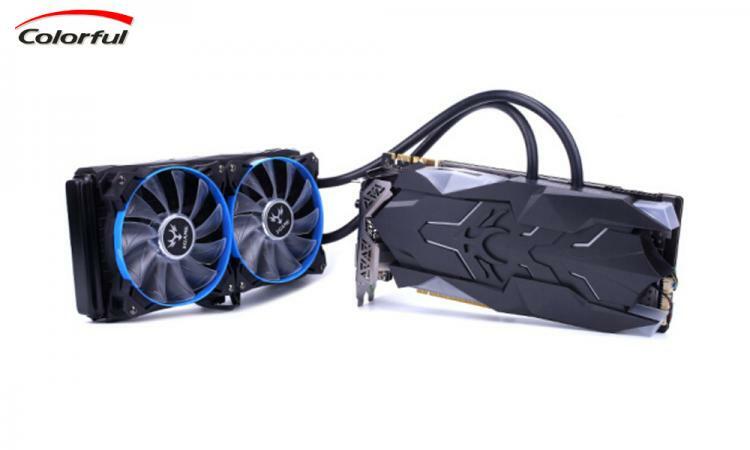 The iGame GTX 1080 Ti Neptune W makes use of the superior cooling capacity of liquid cooling with the card using a closed-loop all-in-one liquid cooling system which a lavish integration of a 240mm radiator which Colorful named as the “Shielizer Cooler”. 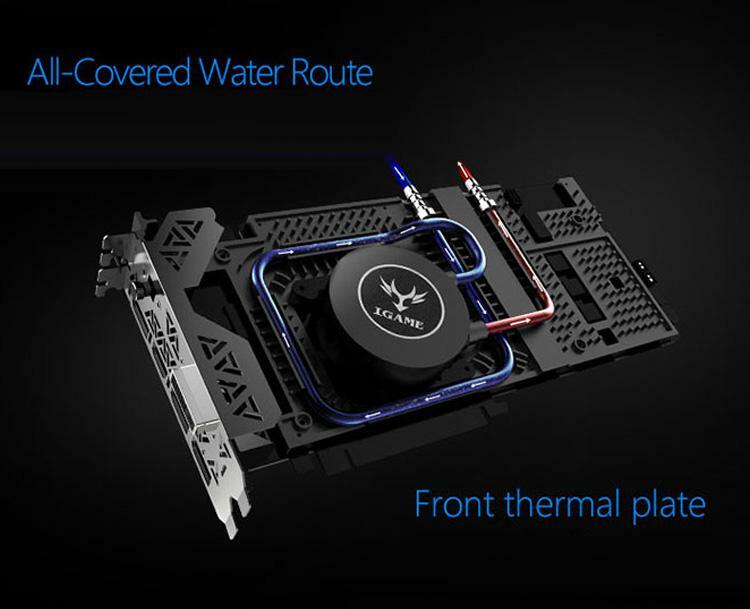 Unlike most AIO liquid cooled graphics card from other brands that only integrate a 120mm radiator like the EVGA GTX 1080 Ti FTW3 Hybrid, the larger 240mm radiator on the iGame GTX 1080 Ti Neptune W will obviously offer a more aggressive cooling. The iGame GTX1080Ti Neptune W runs at a base clock frequency of 1594 MHz while the GPU Boost clock speed can go up to 1708MHz with GDDR5X at 11 Gbps. 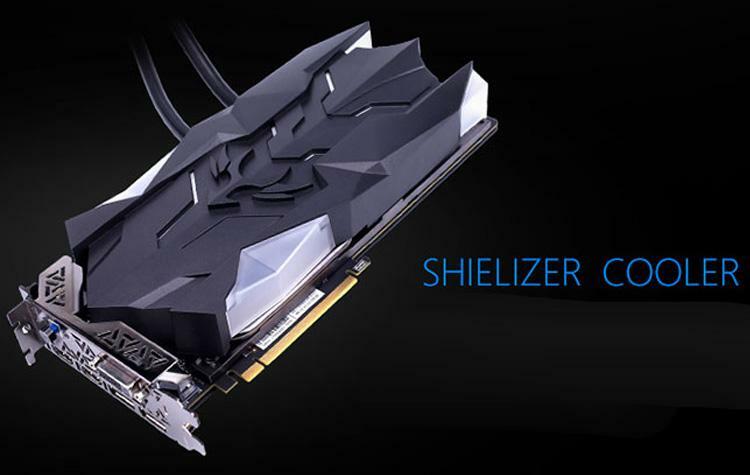 With the Shielizer Cooler, overclocking the GTX 1080 Ti GPU would be a lot easier. The thermal plate on the cooling engine offers direct cooling to the GPU, VRMs and memory chips as the red copper heat pipe runs over these critical components. The Integrated die-cast aluminium plate doesn’t only provide cooling but also greatly contribute to the stability and structure of the graphics card. Aside from an aggressive all-in-one liquid cooler slapped on the GTX 1080 Ti GPU, the iGame GTX1080Ti Neptune W will not be complete with a fully customizable RGB lighting with 16.8 million colour options. RGB lighting and customers can change lights modules by using iGame-Zone II. The Colorful iGame GTX1080Ti Neptune W is priced at 6,999 Chinese Yuan at a Chinese online store, jd.com which is approximately 800 GBP.